This is angeldc - our regular contributor here in PCO and she's asking for our help. Angeldc - Angelica Joy De Castro is competing for Ms. 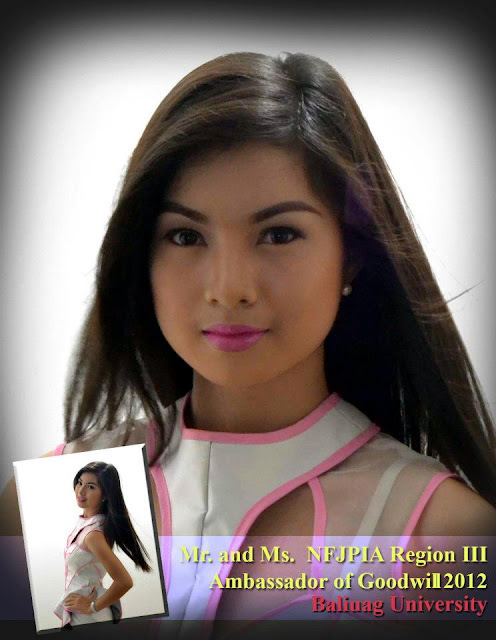 Ambassador of Goodwill for Region 3 (NFJPIA - National Federation of Junior Philippines Institute of Accountants). The highest Facebook LIKE wins. She simply needs your Facebook LIKE in the following category - Ms. Photogenic, Ms. Careline and Ms. Pink. Here's what you need to do, click the LINKS on each of the following and click LIKE. Very simple. She say's THANK YOU in advance.